This 3 bedroom brick home sits on 2 acres in Wes-Del schools. There is new carpet and paint throughout so you can move right in! You'll love the large living room with a wood burning stove and walkout patio! 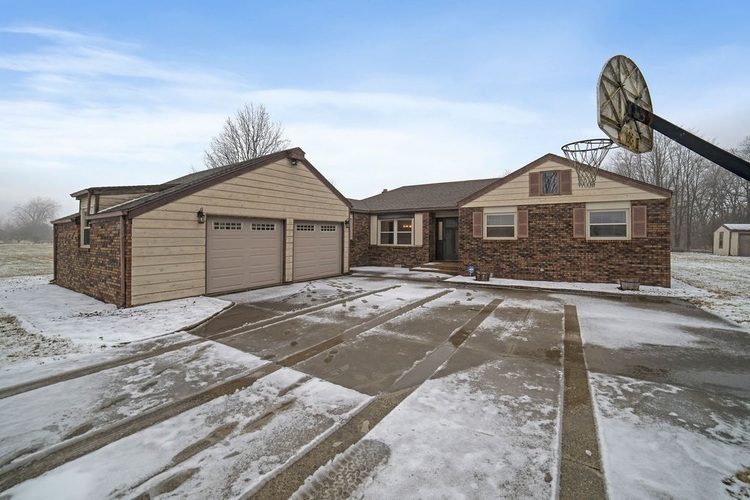 This fantastic home also features a large 3-car garage. The roof was replaced in 2013 and new windows were installed in 2014. Call today to schedule a showing to see this wonderful home in the country!